Pilots and air traffic controller groups have called for new Civil Aviation Safety Authority (CASA) regulations on the use of remotely piloted aircraft (RPA) to be thrown out due to safety concerns. Under new rules that came into effect from Thursday, commercial operators of RPAs, or drones, weighing less than two kilograms did not have to apply to CASA for a certificate and licence. Instead, operators fill out an online notification form detailing the specifications of the aircraft for CASA’s records. Operators were also required to fly the aircraft under a number of specific conditions, including that they only be used during daylight hours and in line of sight, be more than 30 metres away from people and more than 5.5 kilometres away from a controlled airport. Their use over populous areas such as beaches, parks and sporting ovals, as well as near emergency operations such as bushfires, accidents or search and rescue areas, was also prohibited. CASA said in a statement on its website the new rules “cut the cost and red tape of operating very small commercial drones while protecting public safety”. “This means very small commercial drone operators can avoid the requirement to pay about $1400 in regulatory fees, as well as the need to develop manuals and other documentation,” CASA said. The rules were first proposed in 2014, when CASA issued a notice of proposed rule making (NPRM) for amendments to CASR Part 101. John Lyons, the president of the union representing Virgin Australia group pilots VIPA, said the risk of an aircraft hitting a drone, which is also called an unmanned aerial vehicle (UAV), had “increased considerably” with the introduction of the new rules. “CASA has been forced to lift the licensing restriction on UAVs as a result of the explosion in small low-cost drones available to the public and its lack of resources to monitor illegal use,” Captain Lyons said in a statement on Friday. “Small drones in unqualified hands equate to a potentially lethal weapon. They are prone to loss of control, battery and structural failure. Even a small UAV falling out of the sky over a public area can cause lethal injury and serious damage. Meanwhile, the Australian Federation of Air Pilots (AFAP), Civil Air Australia and Australian Certified UAV Operators (ACUO), were considering a High Court appeal if the regulations were not changed, according to a statement from Maurice Blackburn Lawyers, which is assisting the trio on the matter. 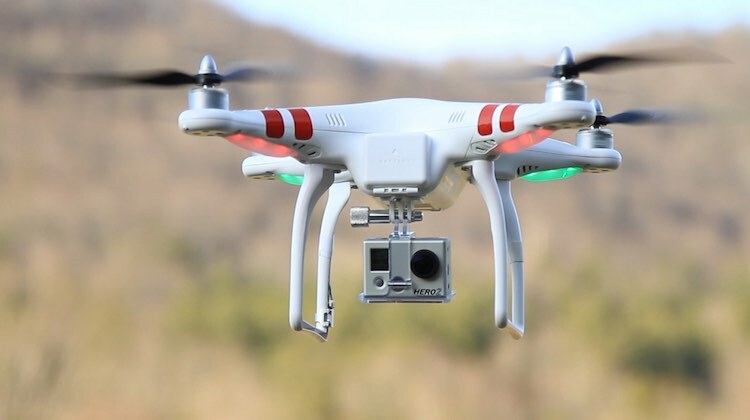 Australian Federation of Air Pilots (AFAP) president David Booth said there was a growing problem of rogue drones violating controlled airspace at primary airports. Maurice Blackburn Lawyers aviation special counsel Joseph Wheeler said having no licensing mechanism for UAV’s weighing less than two kilograms meant there would be “no legal recourse to claim medical expenses or economic loss as the result of injuries” if the operator could not be identified. The regulations noted above seem to address most concerns that pilots might have about drone operation. Strangely, the story does not elaborate on exactly what alternatives are being proposed. Did you run out of space? Self interested drivel from those with a financial interest. Do people seriously think that imposing regulations on drones under 2 kg will prevent rogue operators? I’ve got a bridge to sell you. Um please correct me if i’m wrong but i’m not 100% sure on the matter. I thought these updated regulations are for “Commercial” use only and sport and recreational flying up to 2kg already was unregulated? If so, I bet none of the near “mishaps” the mentioned pilots have added were from drones being flown for commercial use by professionals, more so by kids and amateur hobbyist’s playing around and goofing off where and when they shouldn’t be! Eitherway i think this is a brilliant move by CASA to remove red tape for businesses operating in locations not affecting air traffic, if only other government agency’s would do the same for other trivial BS issues. Why would a business now using a drone for it’s benefit risk breaking the law? Its the careless amateur hobbyist’s you pilots need to watch out for. I’m a career helicopter and aeroplane pilot. I’m also into UAVs and will soon start commercial operations under the new rules in Australia. The old rules were honestly quite ridiculous and ineffective in their attempt to mitigate risk. They were also unreasonably restrictive and very expensive. The new rules are a great improvement. In my professional opinion they will not increase risk. The risk is still there but it’s extremely low and no bigger under the new rules. I believe the opposition to them is not based on best practice aviation risk management either. Us pilot’s (non-UAV) need to get our head around the fact that the world is changing. The sky does not belong solely to us. I believe the import and use of drones should be prohibited to all but licenced commercial operators. It seems both drones and lasers are likely to be misused by the same irresponsible individuals. It’s only a matter of time before an aircraft is brought down by a collision with a drone. Drones are becoming rather a problem, and they should all be licenced!